DiamondPure - the milk that is Only A2. The milk which is easier to digest by our gut. It is all natural, sourced from New Zealand. 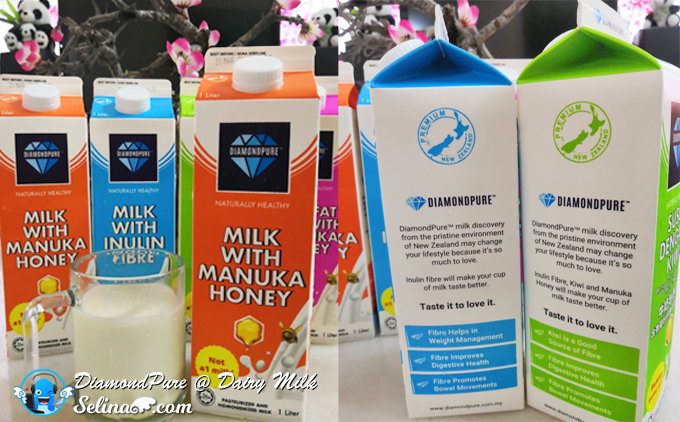 There are four types of Diamond Pure, New Dairy Milk Experience; Milk with Kiwi, Milk with Manuka Honey, Milk with Inulin Fibre and Low Fat Milk with Manuka Honey. 🤒 Feeling bloated after you drink milk? 🤢 Having stomachache when you drink milk? 😖 Dealing with itchy skin shortly after drinking milk? These are the most common forms of milk available to consumers. For decades, we may have been drinking milk which causes stomach discomfort. Milk is very popular drink for the breakfast, especially the children love to drink, right? As I know, milk that's only A2 is easier to digest and healthier choice, even for those who have problems digesting milk...Normally, most of the milk available from the local supermarkets and grocery stores contains mostly A1 proteins. If you have the digestive health - Lactose intolerance is the inability to fully digest milk sugar (lactose). For example, cause of bloating, gas, and diarrhea. So this could be worth a try if you struggle to digest regular milk. 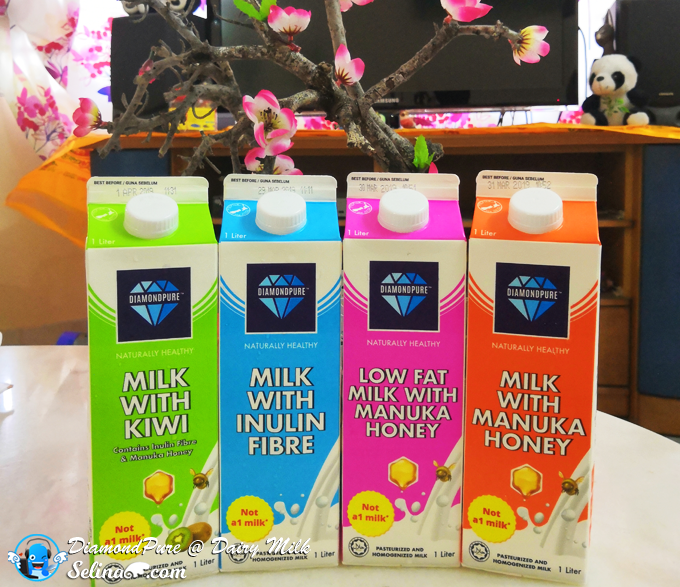 Milk with Kiwi - It is a specially formulated milk drink and kiwifruit enzyme using the best and purest ingredients from New Zealand and beyond. Using a special preparation of kiwi that has been carefully preserve the properties of the kiwifruit, combined with the well-known benefits of inulin fibre and manuka honey in a delicious and ready-to-drink will make for a natural boost at any time of the day. Do you know that Kiwi is also the key nutrient for slowing down the aging process? Yes! And the kiwifruit enzyme digests proteins into amino acids. Low Fat Milk with Manuka Honey - Combining two essential raw materials; natural milk and combined with Manuka Honey. This low fat milk is special as special as the taste is still same, as fragrant and delicious as the full cream one. 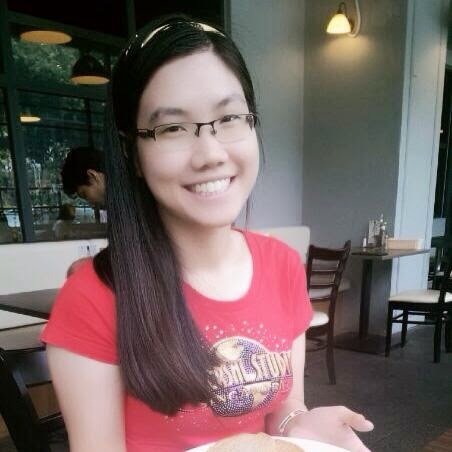 It is most popular choice by people who love honey so very much and for the those who like to slim down, low fat is best! 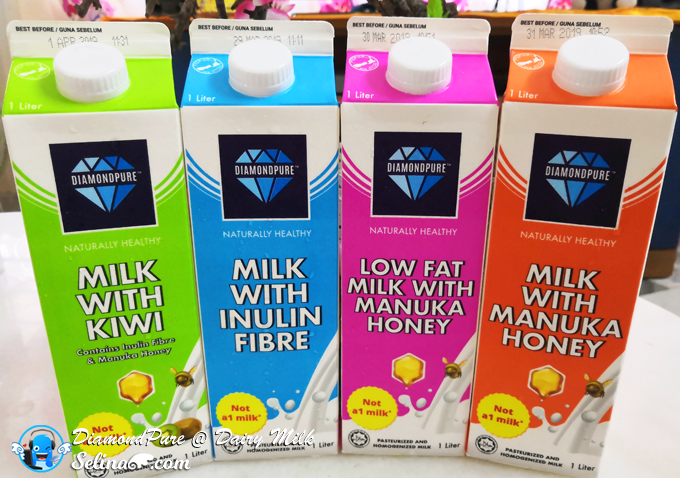 I really love to drink this because this low fat milk get manuka honey so much than Milk with Manuka Honey. Milk with Manuka Honey - Manuka honey is a unique type of honey that's from New Zealand by bees that pollinate the native manuka bush. What is Manuka Honey? It is known to have antibacterial, antiviral and anti-inflammatory properties that may help treat numerous ailments, including irritable bowel syndrome, gastric ulcers, periodontal disease and upper respiratory infections. Milk with Inulin Fibre reduces constipation, Improves Gut Health by Acting Like a Prebiotic, Helps Curb Appetite and Boosts Heart Health and Lowers Metabolic Syndrome Risk Factors. 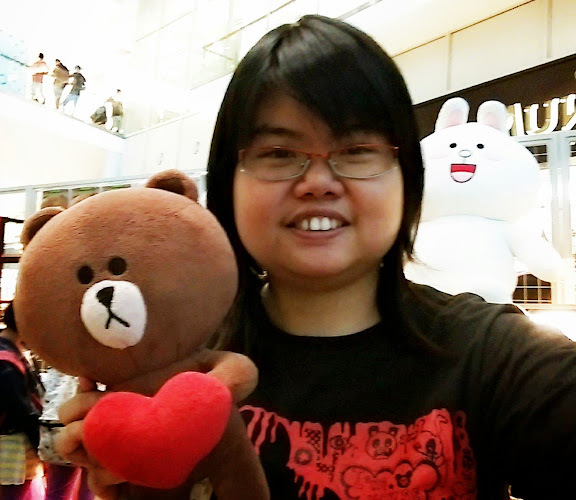 What is A2? A2 stands for A2 Beta-Casein Protein. Most of the cow milk available in the market is A1 milk; very rarely can we find milk which does not contain A1 protein. 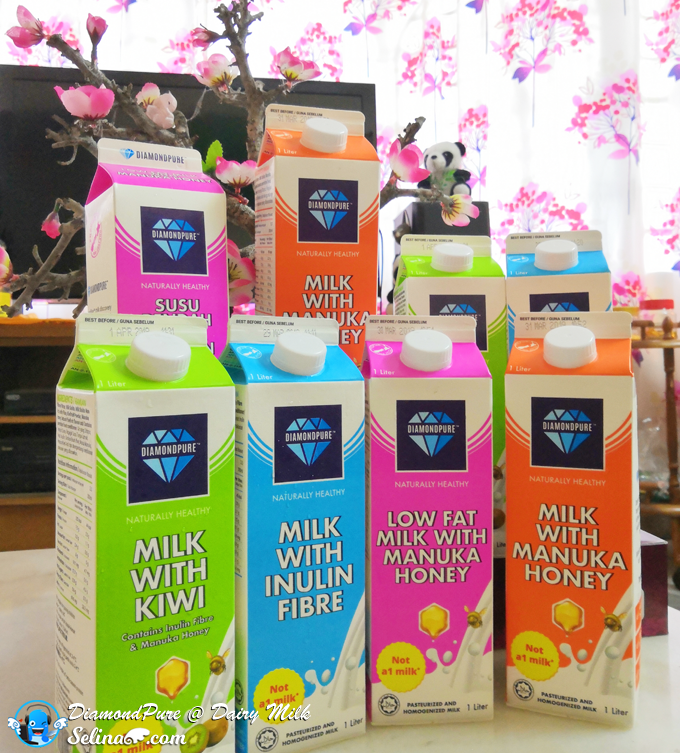 DiamondPure's milk contain Only A2 protein, making it gut friendly and smooth on the palate. Taste it to love it. 👍🏽 For more information, please visit https://www.diamondpure.com.my. 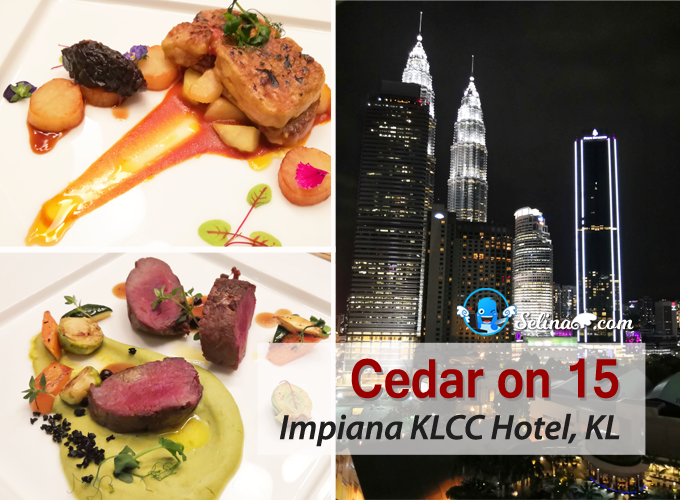 Jaya Grocer: The Intermark - Jalan Tun Razak, The Gradens Mall - Mid Valley City, Main Place Mall - Subang Jaya, Starling Mall -Uptown, and 163 Retail Park - Mont Kiara. 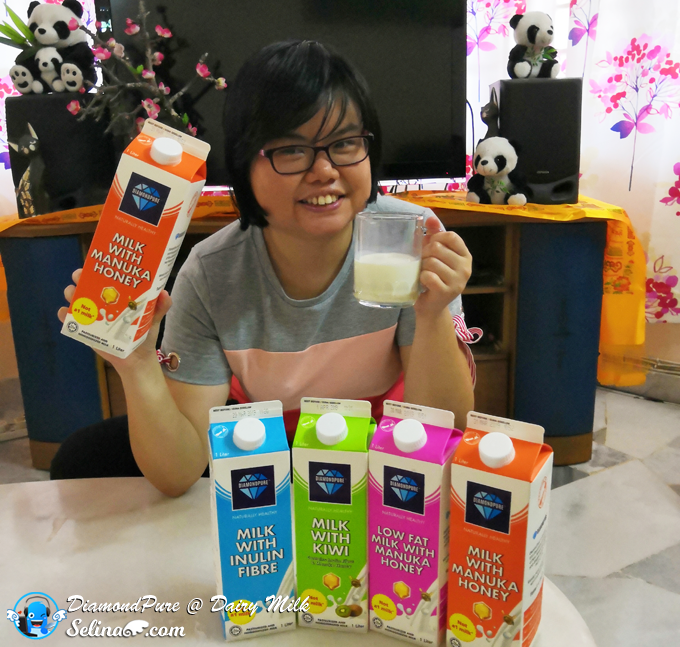 BMS Organics - Puchong Jaya, Taipan USJ Subang, EMpire Shopping Gallery Subang, Kota Kemuning Selangor, One Utama Shopping Centre, Centrepoint Bandar Utama, Ativo Plaza, Gateway @ KLIA2, IOI City Mall Putrajaya, and AEON Bukit Tinggi. *DiamondPure are available for Kuala Lumpur and Selangor only. 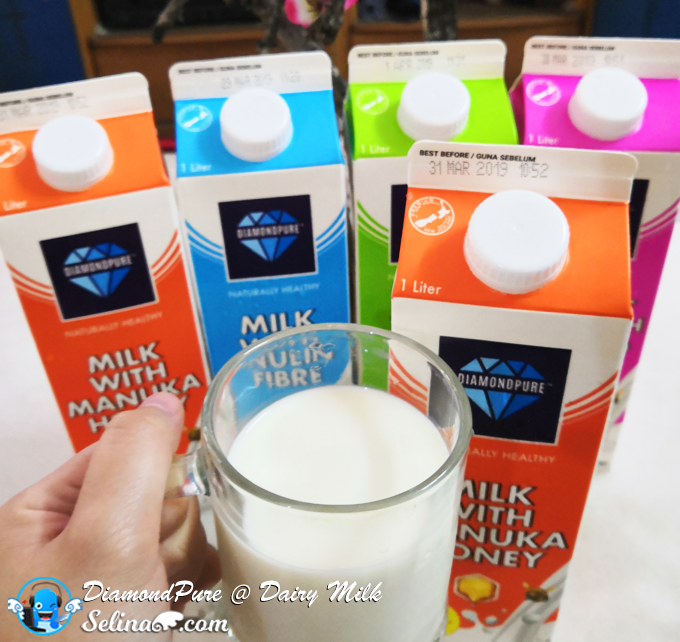 Get the DiamondPure dairy milk when your family have the breakfast together! And you can add the oatmeal, or hot cereal, or berries into the DiamordPure milk before you drink!